If you have ever used a Magic Band wristband at Disney, you know that feeling in your stomach when your account bill arrives; dread. 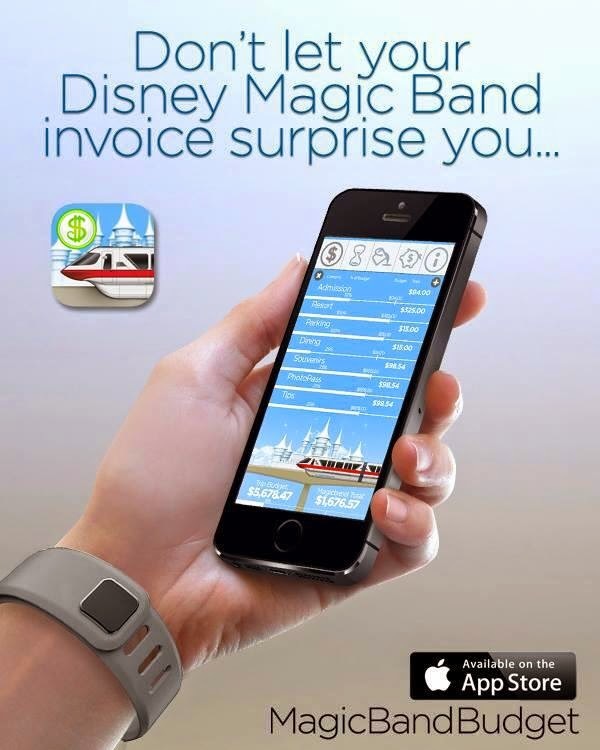 Magic Band Budget app is designed to keep the fun in your Disney vacation! Keep track of spending with our easy expense tracker. Create custom categories and either enter a quick costs or detailed descriptions including dates and pictures of receipts. Create a personalized budget with helpful graphs to show you how much money you have left to spend. Countdown clock with customizable text and Facebook integration to get you excited about how much time is left until your Disney trip! Adjustable animated monorails; choose from 12 Disney World Mark VI monorail colors or 3 Disneyland Mark VII colors. Over 45 money saving tips and tricks to use before and while you are at the park. Helpful vacation savings tracker with goal and graph to help you keep an eye on your Disney vacation fund.